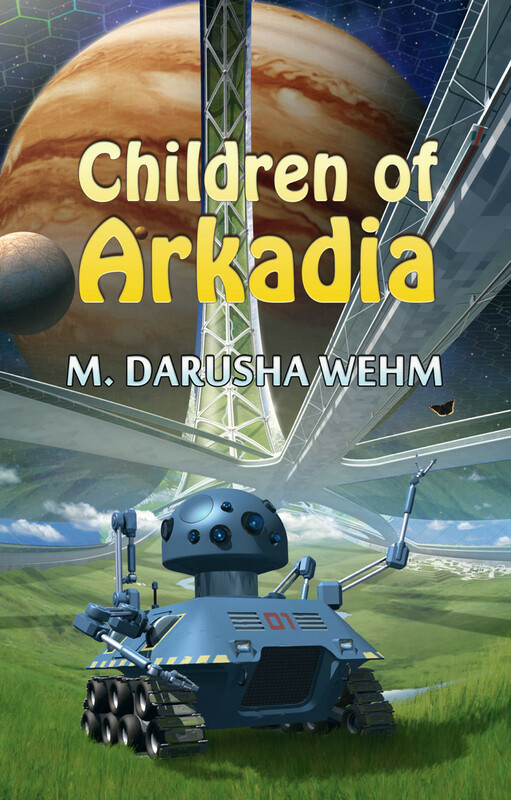 I am thrilled and delighted that Children of Arkadia was chosen to be part of the inaugural StoryBundle curated by the Science Fiction Writers of America. I am so pleased to present the first ever SFWA-focused StoryBundle. The idea for it has been hovering in my head for a several years but it was only last year that we finally had the contacts and volunteer structure to actually enact it. Last year I asked SFWA members to send in their science fiction and fantasy works for consideration in the bundles, and the enthusiastic response to that call let me assemble this awesome bundle as well as a second one, this time with a fantasy focus, for later this year. Midway through this year, we’ll open up the call for applications for the 2018 bundles. If you’re curious about other SFWA offerings, sign up for our quarterly newsletter, which features new and backlist releases from our members in the area of fiction, games, and other offerings. One reason I’ve pushed this StoryBundle along is because it’s a program that works well for our small press and independently published members, whose market agility allows them to make full use of the bundle. The membership voted to accept these new members in 2015 and one of the challenges was making sure SFWA served their needs. They’ve added immense enthusiasm and knowledge to our hive mind, and it’s great to have a way that helps them promote their work while also supporting the organization’s Givers Fund, which gives grants each year to encourage and promote fantasy and science fiction writing, including organizations such as the the African Speculative Fiction Society, Alpha Workshop, Clarion and Clarion West, and Launchpad. This soup is Siobhan Patel’s favourite, so Vyacheslav Haeroa makes it as often as he can in his soup café. Whatever it takes to get her to see him. Earth-based cooks can substitute canned tomatoes and chick peas. Soak dried chick peas in cold water overnight. They will double in size, so use a large bowl and enough water. Add spices, stir until onion is translucent. Add flour, and cook a minute. Add vegetable stock, bring to a boil. Reduce heat as broth begins to thicken. Add tomatoes and drained chickpeas, taste and adjust seasoning as desired. Simmer 60-90 minutes (or about 15 minutes if using canned or pre-cooked chick peas). Add a dash of lemon juice prior to serving. The Bundoran Press website is under maintenance, but the ebook of Children of Arkadia is up now for Kindles and will be available on Kobo in a few days.